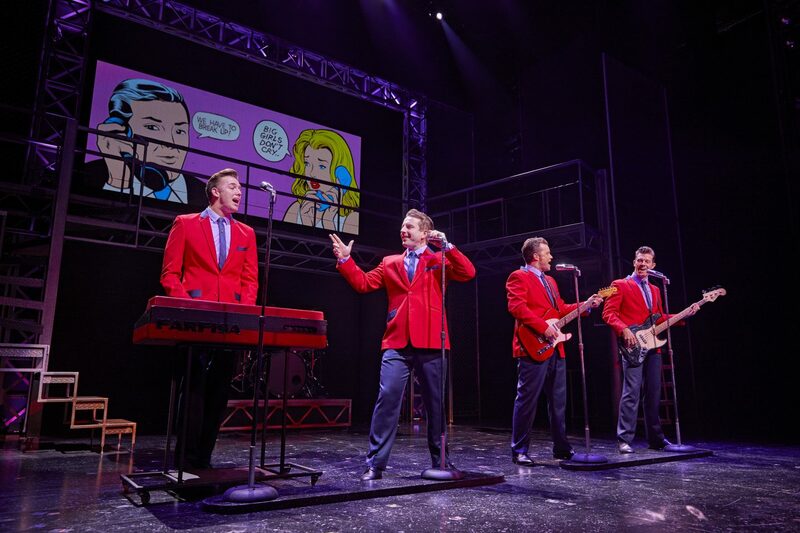 Oh what a night… last night’s sell-out performance of Jersey Boys received a roar of applause – not to mention countless wolf whistles – from Wearside fans. 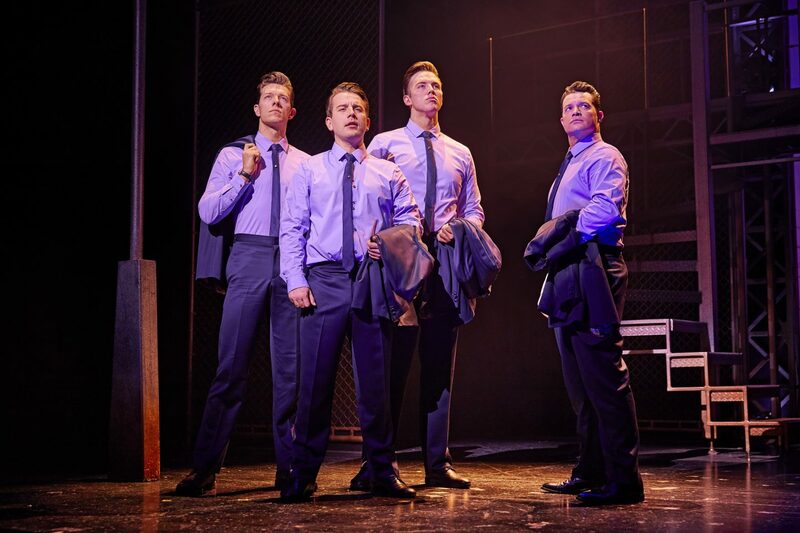 Following two sensational runs at the Sunderland Empire, the West End phenomenon, Jersey Boys is back and it was clear from the crowd’s reaction that this production certainly lived up to its reputation. 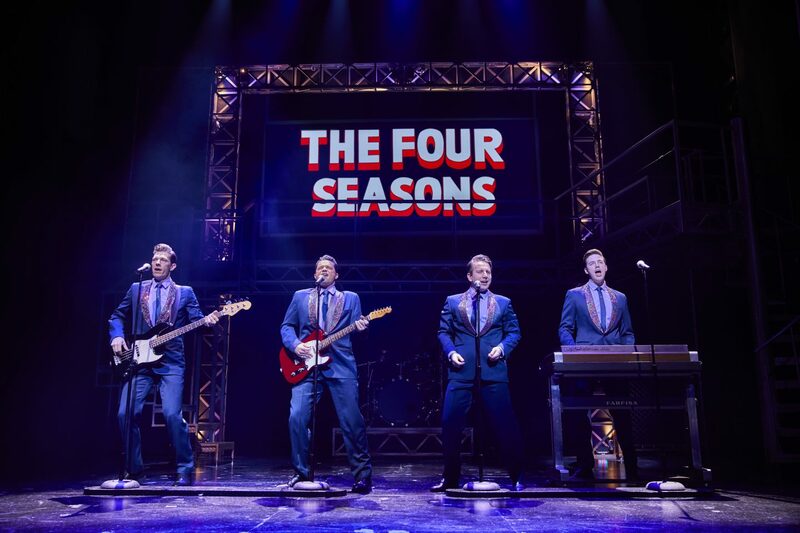 Last night was the first time I’d ever seen Jersey Boys, or as-a-matter-of-fact hear about Frankie Valli and the Four Seasons, and it was the first time I’d ever seen the audience at the Sunderland Empire in total awe of a production. There were multiple times when the gentlemen on stage just stood while the crowds continued to clap in appreciation. 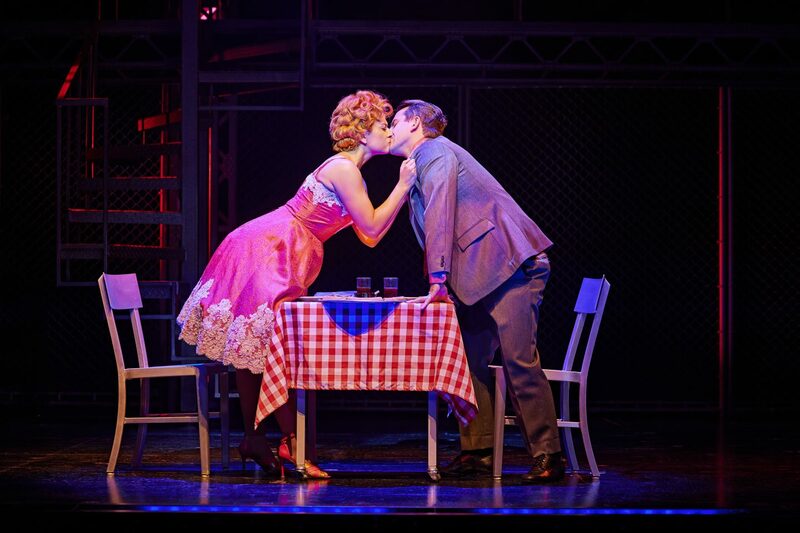 A sign that this record-breaking production truly deserves its Oliver award. 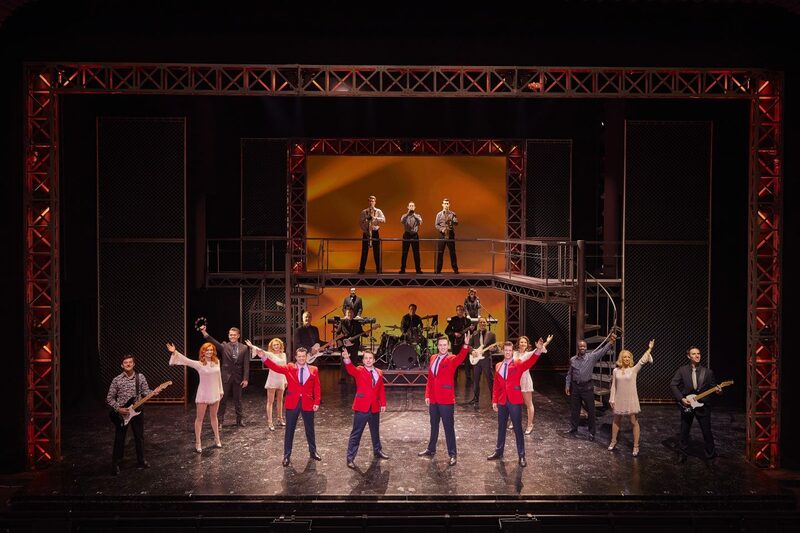 The production of Jersey Boys tells the remarkable true story of Frankie Valli and the Four Seasons and their rise to fame from the wrong side of the tracks. These four boys from New Jersey became one of the most successful bands in pop history, selling an incredible 175 million records worldwide and claiming a space in the Rock & Roll Hall of Fame, all before turning 30. Jersey Boys started pretty fast-paced and as someone who hasn’t seen the musical before I was a little lost, however, with a career spanning as long as theirs and with four stories to tell, I guess it’s the only way to fit it all in, and once Frankie (played Dayle Hodge) had officially joined the group I’d caught up. 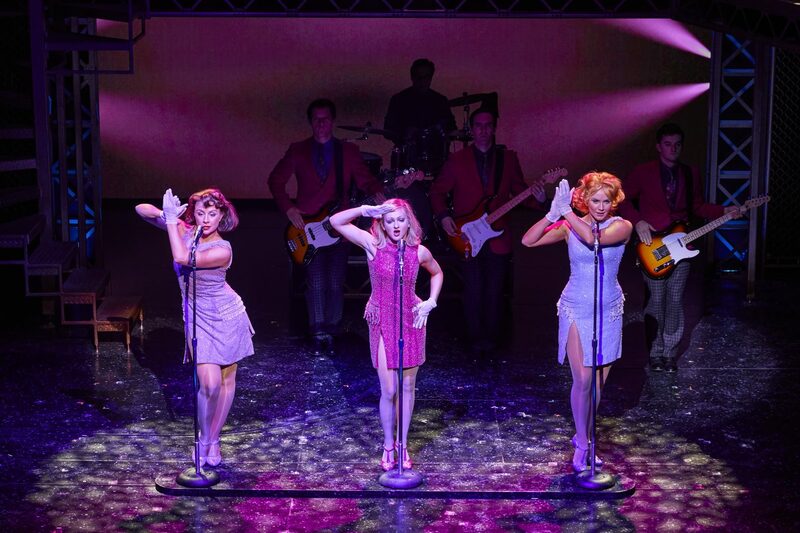 The show is packed with hits from The Four Seasons, including Beggin’, Sherry, Walk Like A Man, December, 1963 (Oh What a Night), Big Girls Don’t Cry, My Eyes Adored You, Let’s Hang On (To What We’ve Got), Bye Bye Baby, Can’t Take My Eyes Off You, Working My Way Back to You, Fallen Angel, Rag Doll and Who Loves You. I was actually pretty impressed at how many of these songs I knew. 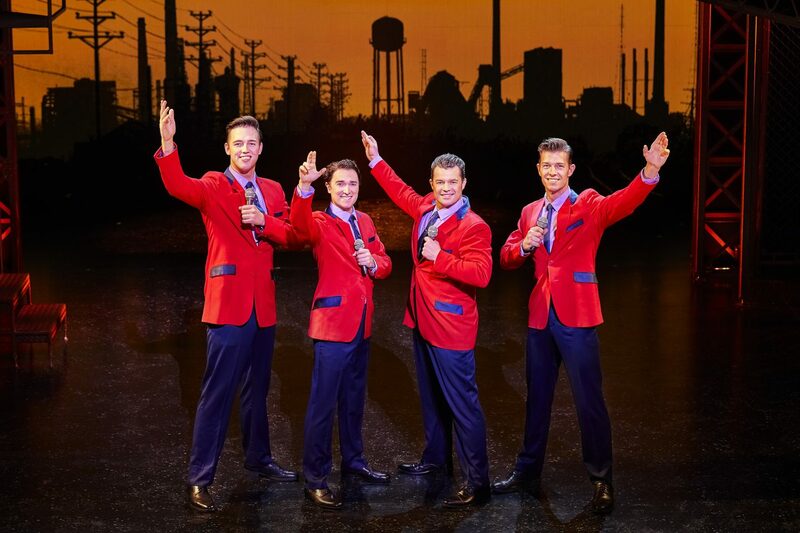 Through these songs the lives of these four ordinary men unfold, and the audience sees a glimpse into what the lives of Frankie Valli, Tommy Devito, Nick Massi and Bob Gaudio (also known as The Four Seasons) were like offstage. 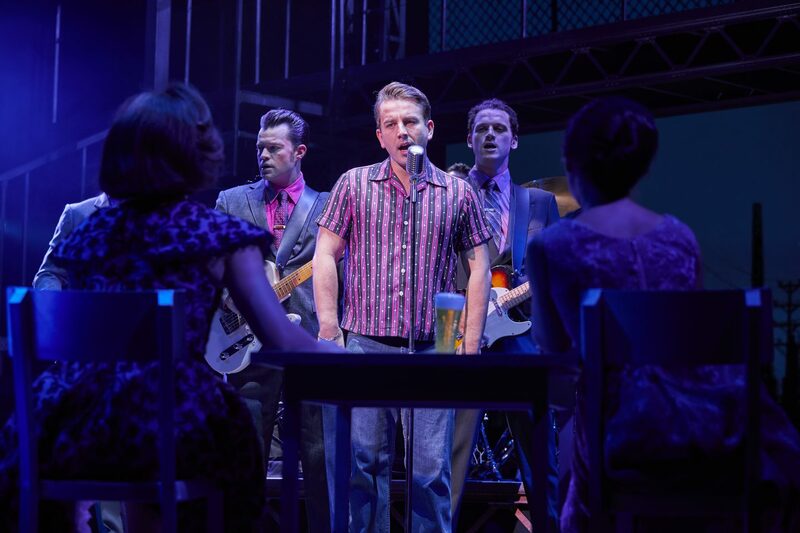 The combination of smash hits and the likeability of the actors caused me – and the rest of the audience – to get heavily invested into the whole story, so much so, that I was gutted when Tommy (played by Simon Bailey) left the group followed by Nick Massi (played by Lewis Griffiths). In fact, the whole crowd voiced their upset opinions. 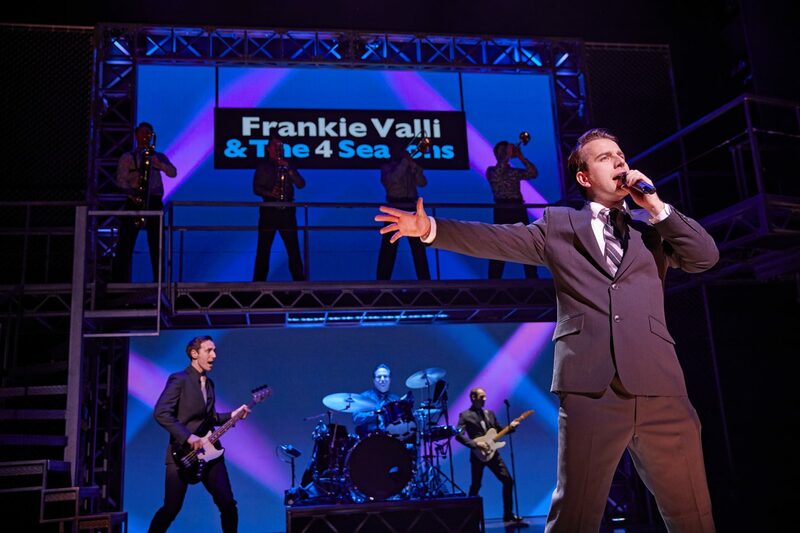 Although Frankie Valli and The 4 Seasons continued, I was rooting for the group to reunite, and thankfully as you probably already know they did for their Rock & Roll Hall of Fame performance. It’s such a good show isn’t it? The songs will be stuck in your head for days! 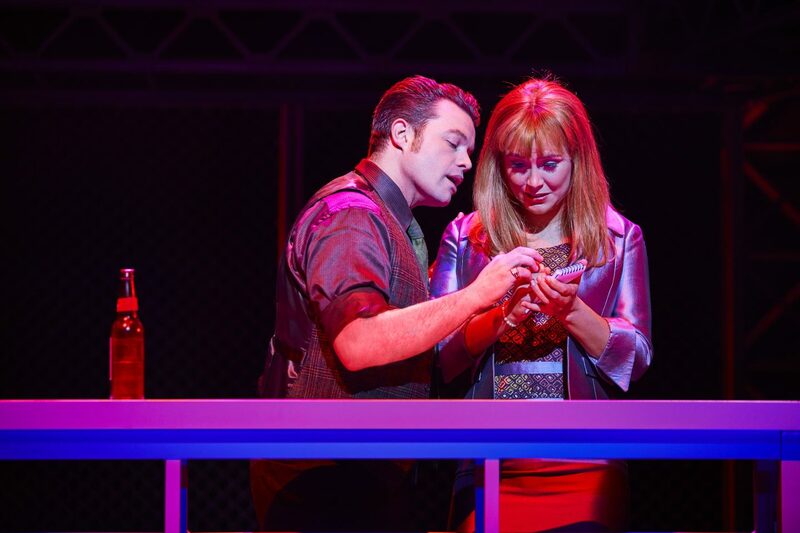 I have a friend who is so obsessed with The Jersey Boys she’s seen it over 20 times, she just can’t get enough!